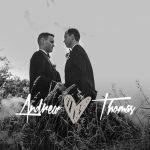 Every so often, I get a chance to create a Trudder Lodge wedding video! This hidden gem of a venue is located less than 10 minutes from where I live! 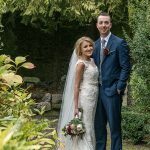 Neasa and PJ tied the knot at St. Mary and Michael’s church at Rathdrum before venturing to Trudder for their wedding reception. Magician / Comedian Jack Wise had the guests in stitches from their laughter. All harmless fun! As always, great to work with photographer Kevin Morris on the day. The Moogs wedding band had the guests hopping on the dance floor for the rest of the night! Here’s Neasa and PJ’s wedding video highlights. Enjoy this Trudder Lodge wedding video and look out for the drone shot from above!